This Notice describes how Personal Health Information about you may be used and disclosed and how you can get access to this information. This Notice provides you with information to protect the privacy of your confidential health care information, hereafter referred to as protected health information (PHI). The Notice also describes the privacy rights you have and how you can exercise those rights. Please review it carefully. If you have any questions about this Notice, please contact Dr. Stephen Johnson, Privacy Officer, by calling this office at (763) 544-2001. Johnson Chiropractic and Wellness Center is committed to maintaining and protecting the confidentiality of our patients’ personal information. This Notice of Privacy Practices applies to Johnson Chiropractic and Wellness Center. The NPP is required by federal and state law to protect the privacy of your individually identifiable health information and other personal information. We are required to provide you with this Notice about our policies, safeguards and practices. When we use or disclose your PHI, we are bound by the terms of this Notice, or the revised Notice, if applicable. The following describes the ways we may use and disclose personal health information that identifies you (“Health Information”). Except for the purposes described below, we will use and disclose Health Information only with your written permission. You may revoke such permission at any time by writing to our practice Privacy Officer. For Treatment. We may use and disclose Health Information for your treatment and to provide you with treatment-related health care services. For example, we may disclose Health Information to doctors, nurses, technicians, or other personnel, including people outside our office, who are involved in your medical care and need the information to provide you with medical care. For Payment. We may use and disclose Health Information so that we or others may bill and receive payment from you, an insurance company or a third party for the treatment and services you received. 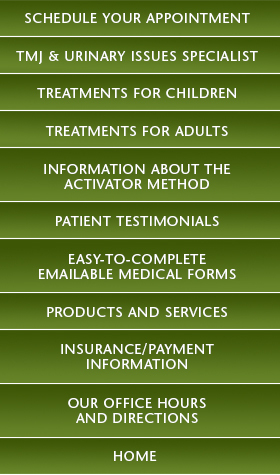 For example, we may give your health plan information about you so that they will pay for your treatment. Lawsuits and Disputes. If you are involved in a lawsuit or a dispute, we may disclose Health Information in response to a court or administrative order. We also may disclose Health Information in response to a subpoena, discovery request, or other lawful process by someone else involved in the dispute, but only if efforts have been made to tell you about the request or to obtain an order protecting the information requested. Law Enforcement. We may release Health Information if asked by a law enforcement official if the information is: (1) in response to a court order, subpoena, warrant, summons or similar process; (2) limited information to identify or locate a suspect, fugitive, material witness, or missing person; (3) about the victim of a crime even if, under certain very limited circumstances, we are unable to obtain the person’s agreement; (4) about a death we believe may be the result of criminal conduct; (5) about criminal conduct on our premises; and (6) in an emergency to report a crime, the location of the crime or victims, or the identity, description or location of the person who committed the crime. 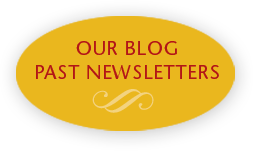 Coroners, Medical Examiners and Funeral Directors. We may release Health Information to a coroner or medical examiner. This may be necessary, for example, to identify a deceased person or determine the cause of death. We also may release Health Information to funeral directors as necessary for their duties. National Security and Intelligence Activities. We may release Health Information to authorized federal officials for intelligence, counter-intelligence, and other national security activities authorized by law. Protective Services for the President and Others. We may disclose Health Information to authorized federal officials so they may provide protection to the President, other authorized persons or foreign heads of state or to conduct special investigations. Inmates or Individuals in Custody. If you are an inmate of a correctional institution or under the custody of a law enforcement official, we may release Health Information to the correctional institution or law enforcement official. This release would be if necessary: (1) for the institution to provide you with health care; (2) to protect your health and safety or the health and safety of others; or (3) the safety and security of the correctional institution. You have the following rights regarding the Personal Health Information we have about you. Right to Inspect and Copy. You have a right to inspect and copy Health Information that may be used to make decisions about your care or payment for your care. This includes medical and billing records, other than psychotherapy notes. To inspect and copy this Health Information, you must make your request, in writing, to Johnson Chiropractic and Wellness Center, 10700 Old County Road 15 Suite 240, Plymouth, MN 55441. We have up to 30 days to make your Protected Health Information available to you and we may charge you a reasonable fee for the costs of copying, mailing or other supplies associated with your request. We may not charge you a fee if you need the information for a claim for benefits under the Social Security Act or any other state of federal needs-based benefit program. We may deny your request in certain limited circumstances. If we do deny your request, you have the right to have the denial reviewed by a licensed healthcare professional who was not directly involved in the denial of your request, and we will comply with the outcome of the review. Right to Amend. If you feel that Health Information we have is incorrect or incomplete, you may ask us to amend the information. You have the right to request an amendment for as long as the information is kept by or for our office. To request an amendment, you must make your request, in writing, to Johnson Chiropractic and Wellness Center, 10700 Old County Road 15 Suite 240, Plymouth, MN 55441. Right to an Accounting of Disclosures. You have the right to request a list of certain disclosures we made of Health Information for purposes other than treatment, payment and health care operations or for which you provided written authorization. To request an accounting of disclosures, you must make your request, in writing, to Johnson Chiropractic and Wellness Center, 10700 Old County Road 15 Suite 240, Plymouth, MN 55441. Right to Request Restrictions. You have the right to request a restriction or limitation on the Health Information we use or disclose for treatment, payment, or health care operations. You also have the right to request a limit on the Health Information we disclose to someone involved in your care or the payment for your care, like a family member or friend. For example, you could ask that we not share information about a particular diagnosis or treatment with your spouse. To request a restriction, you must make your request, in writing, to Johnson Chiropractic and Wellness Center, 10700 Old County Road 15 Suite 240, Plymouth, MN 55441. We are not required to agree to your request unless you are asking us to restrict the use and disclosure of your Protected Health Information to a health plan for payment or health care operation purposes and such information you wish to restrict pertains solely to a health care item or service for which you have paid us “out-of-pocket” in full. If we agree, we will comply with your request unless the information is needed to provide you with emergency treatment. Right to Request Confidential Communications. You have the right to request that we communicate with you about medical matters in a certain way or at a certain location. For example, you can ask that we only contact you by mail or at work. 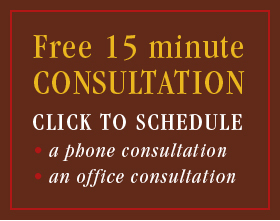 To request confidential communications, you must make your request, in writing, to Johnson Chiropractic and Wellness Center, 10700 Old County Road 15 Suite 240, Plymouth, MN 55441. Your request must specify how or where you wish to be contacted. We will accommodate reasonable requests. Right to a Paper Copy of This Notice. You have the right to a paper copy of this notice. You may ask us to give you a copy of this notice at any time. Even if you have agreed to receive this notice electronically, you are still entitled to a paper copy of this notice. You may obtain a copy of this notice at our web site, www.stephenjohnsondc.com. To obtain a paper copy of this notice, write to Johnson Chiropractic and Wellness Center, 10700 Old County Road 15 Suite 240, Plymouth, MN 55441. If you believe your privacy rights have been violated, you may file a complaint with our office or with the Secretary of the Department of Health and Human Services. 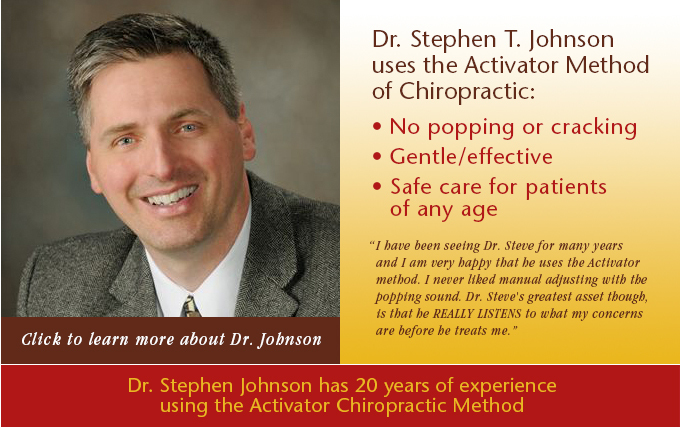 To file a complaint with our office, contact Dr. Stephen Johnson, Privacy Officer, (763) 544-2001. All complaints must be made in writing to: Johnson Chiropractic and Wellness Center, 10700 Old County Road 15, Suite 240, Plymouth, MN 55441. You will not be penalized for filing a complaint.